In 2013, the United Nations General Assembly (UNGA) proclaimed March 3 as UN World Wildlife Day, in an effort to raise awareness about the world’s wild animals and plants. Here at Mountain Rose Herbs, we’re dedicated to doing everything we can to further this important work. That’s why we build relationships with exceptional nonprofit partners like Wild Farm Alliance (WFA). Since 2000, WFA has educated farmers about on-farm biodiversity conservation, assisted them with its practical implementation, and initiated policies that support farm stewardship. Their mission is to promote a healthy, viable agriculture that protects and restores wild nature. In honor of World Wildlife Day, we’re excited to highlight guest writer, Jo Ann Baumgartner, Executive Director of WFA. Enjoy her post below! Most farmers are aware of raptors scanning for prey as they soar, hunting from a perch, or following in the wake of the tractor to scoop up pest rodents and insects that are disturbed. The curious farmer wonders why Nuttall’s Woodpeckers and other songbirds are present in their walnut and apple orchards (studies show a reduction by birds of 41-97% of codling moth). That farmer also muses on the Savanah Sparrows and other songbirds in their alfalfa fields (the birds reduce alfalfa weevils by 33%), and ponders if those aerial insectivores above the farm—the Barn Swallows—are eating crop pest insects (pests can be 18% of their diet). There are tools now that use DNA analyses and statistical models to make more sense of how beneficial some birds can be. Compelling on-farm research done over the years has reported 220 bird species in North America consume agricultural farm pests. This makes a great case for why farmers should take a second look at those birds flying by and encourage them to stop and feed on crop pests. All farmers are aware that birds can be pests themselves in a few crops, such as American Robins in blueberries. But here’s the thing—many pest birds (including Robins) are beneficial during the nesting season when they feed insects to their young. Practicing coexistence by supporting the birds when they are helpful, and by protecting the crop during the fall harvest, can foster the birds’ natural tendency towards keeping insect pests in check. 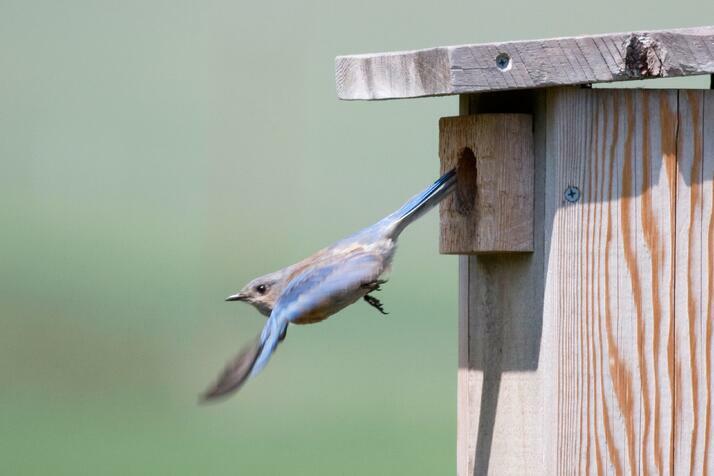 While birds will at times fly into the farm without being encouraged, such as during large pest outbreaks, making the farm bird-friendly by providing food, cover, water, and nesting sites will up the odds that they are present when needed. Support for birds comes in many forms: artificial nest boxes, perches, and platforms; clean water for drinking, bathing, and mud-nest building; adding vegetative structures for perching, such as annual sunflowers and sorghum; and providing cover such as brush piles. For a more long-lasting approach with multiple benefits to the farm and Earth’s biodiversity, native habitat must be planted and conserved. Riparian habitat has the highest real estate value for bird diversity on the farm, but hedgerows and other shrubby edge habitat can also support birds as they sally out away from cover to eat the farm’s pest insects. Often, the more bereft the farm is of habitat, the more benefits it could receive from birds’ services. The greatest extinction threat to birds is agriculture, which paradoxically means many of those farmlands that have caused the most harm could benefit the most, helping to reverse the trend. In general, native plants are more effective than nonnative plants at supporting the food web that includes insects that birds eat. According to entomologist Doug Tallamy, “It is a matter of life and death for their offspring if they don’t catch enough insects.” For example, chickadees must catch more than 5,000 insects to raise a successful brood. Audubon’s native plant app only requires a zip code to be entered before a list of plants are shown that support the insects and/or fruits, nuts, and seeds birds like to eat. If you want to learn more about birds in your farm, garden, or nearby open space, do as Jon Young suggests in What the Robin Knows, and pick a “sit spot” that you go to daily, or as often as you can, to sit quietly and listen to the birds. The trick is to blend in so that after a while, the birds figure out you are not a threat and they go about their business. That’s when it will get interesting—hearing pairs of birds talking to each other as they search for insects, the call of a hunting raptor, alarm calls from songbirds when their falcon predators are near, territorial songs, and nestlings begging for food. 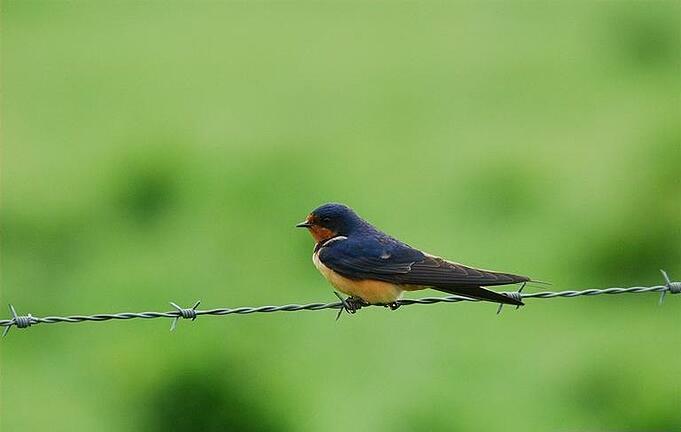 Climate change is making it more challenging for farmers and wild birds. Erratic weather is bringing new pests to the farm, and intense rainstorms more erosion. It is also altering the synchronicity of food sources available for birds migrating and raising young. By adding habitat to the farm, birds are brought into closer contact with the insect pests farmers are striving to control, and wind and water erosion is reduced. When bird-friendly practices are implemented over broad areas, suitable habitat will be available where needed. Habitat can also meet the needs of many other farm goals, whether it is supporting natural enemy insects and pollinators, or storing carbon above and below ground. The more farmers implement practices with multiple benefits, the more secure, resistant, and resilient their farms and our world will be. Wild Farm Alliance (WFA) will be publishing Building Resiliency on Your Farm: Pest Control by Birds later this spring. To be notified when it is available, join our mailing list. Our work is centered on engaging and empowering those involved in the food and farming movement, including everyone from farmers to consumers. Learn more and get involved! Want to know what you can do to support your habitat? Jo Ann Baumgartner, Executive Director of WFA, recently wrote How to Conserve Biodiversity on the Farm and is the main author of Biodiversity Conservation: An Organic Farmer’s Guide. 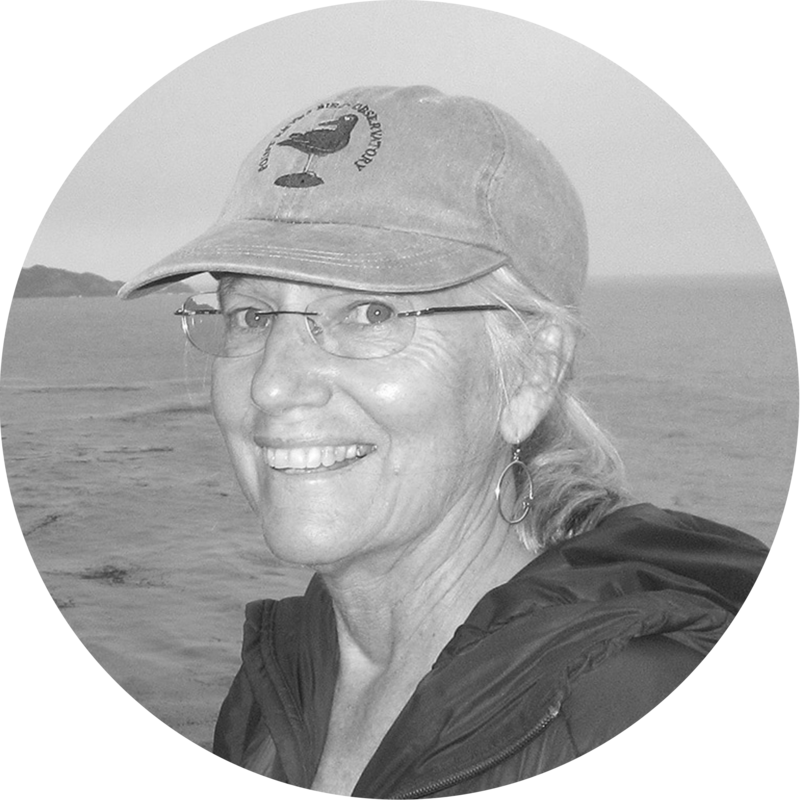 Before joining WFA in 2001, she was senior research editor for Life on the Edge, a book of California’s rare wildlife species, and an organic farmer for over a decade. For her Master’s research, she studied bird predation of insects in apple orchards.